The manufacturing volumes needed to succeed in the insulin market are huge says Novartis, fresh from entering the space through a biosimilars partnership. Late last year, Swiss pharma firm Novartis, through its division Sandoz, partnered with Chinese manufacturer Gan & Lee in an effort to bring biosimilar insulins to the US and Europe. Sandoz told this publication at the time that Gan & Lee’s production capacity, “with attractive cost of goods sold structures,” was a major driver to the collaboration. Richard Francis, Sandoz’ CEO, spoke candidly about the biosimilar insulins market during Novartis’ Q4 2018 conference call, telling stakeholders of the large opportunity. However, manufacturing is a major barrier to entry in this space. “The volumes required to really enter this market and be successful are huge,” he said, adding a lack of innovation addressing this brings further barriers. The firm has previously looked into this space, he admitted, but it was not an area it wanted to allocate manufacturing capital in. And so Gan & Lee’s manufacturing capabilities, which have already been proven in producing insulins in China, was a major driver to the partnership. 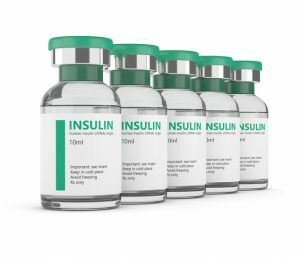 Novartis has the ability to bring to market cost effective insulins “because we can leverage our commercial infrastructure and we can leverage their manufacturing capacity because there’s no innovation coming forward,” he continued. Last October, Merck & Co. (known as MSD outside North America) dropped the commercialization of a version of Sanofi’s Lantus (insulin glargine), approved in Europe under the name Lusdana as a biosimilar and tentatively approved in the US as a follow-on biologic basal insulin. Novartis’ entry into the space comes as the US Food and Drug Administration (FDA) works to expand biosimilar insulins. The Agency published a series of documents in December aimed at expanding uptake of biosimilars and increase access to life saving drugs, and announced plans to bring biosimilar insulins into the US market by transitioning so-called follow-on insulin products into biosimilar insulin products by 2020. For the full year 2018, Novartis reported total group sales of $51.9 billion (€45 billion), up 6% on 2017. Net sales from its Sandoz division represented $9.9 billion for the full year, down 2% on the previous year.